Environmental concerns have led to a growth in ecologically sensitive, biodegradable lubricants. Ultramax BD reflects this and is particularly suitable for use where accidental spillages would otherwise have a serious environmental impact. It is free from zinc and other heavy metal additives and is the product of several years extensive field testing on the railway network. 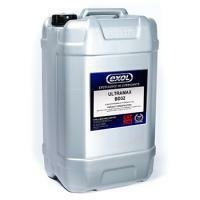 Ultramax BD 32 has a low pour point to ensure adequate flow on even the coldest winter mornings.